I've never encountered a Google 404 until today. It's pretty cute. 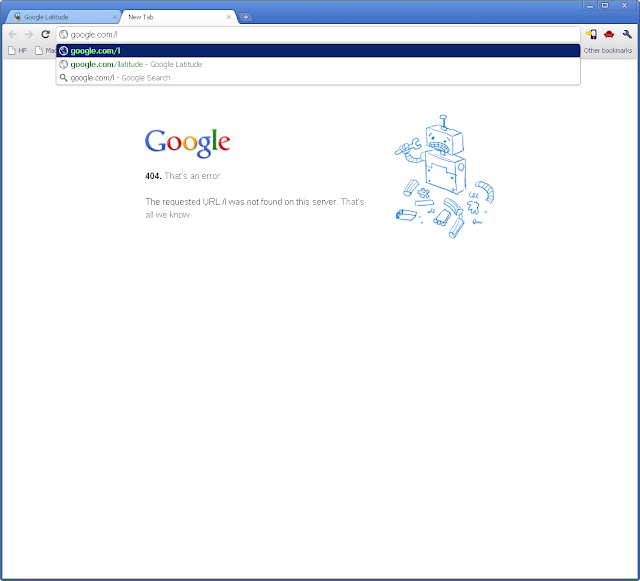 This page loaded while attempting to hit Google Latitude because I enabled Chrome Instant in the Omnibox. I was typing google.com/latitude and had reached "google.com/l" when this page appeared.